The new collection for Alon Livné for Spring/Summer 2019 is sheerly divine. Take a closer look at these gorgeous gowns for next season and choose yours today - we promise you'll look simply heavenly. 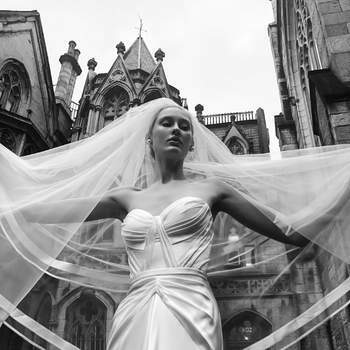 The church background chosen by Alon Livné to photograph their new collection for Spring 2019 is more than appropriate for a range of wedding dresses that we can only describe as heavenly. 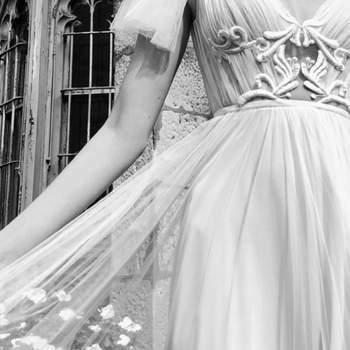 Named Arcadia – a fitting title, derived from the Greek concept of Utopia, a poetic and symbolic space associated with harmony and splendour – this collection far surpasses any expectation we could have for a designer who is still considered to be a “newcomer” amongst the bridal greats. Indeed, Alon Livné gives even the most established houses a very good run for their money with Arcadia – and we are sure that you will adore it too! The new range from Alon Livné is designed with the intention of accentuating and showcasing the female body. 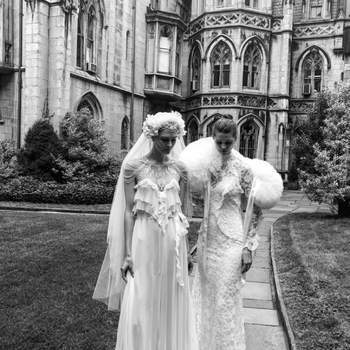 Form-fitting, but never clingy, these gowns are comprised of expertly draped fabrics, innovative cuts, and the most incredible lightweight fabrics. 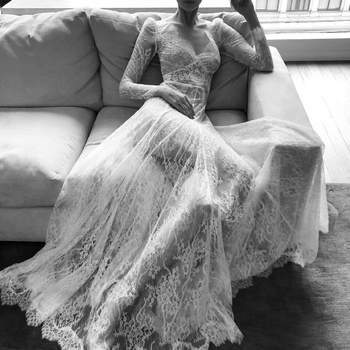 We would expect to not only look but feel angelic in any one of these wedding dresses, particularly the Tiffany and Florette gowns, that experiment – with great success – with luxurious tulle. However, our favorite here at Zankyou has to be the Jessa gown. Its original construction (we have never seen an off-the-shoulder gown with long material sleeves before! ), and the gorgeous floral detailing around the bust are simply extraordinary. Check out the top trends for 2019 at our Youtube channel! Dianne + Billie. Credits: Alon Livné. Dianne + Natasha + Billie. Credits: Alon Livné. Dianne + Natasha. Credits: Alon Livné. Eliana Bolero. Credits: Alon Livné. Jessa + Sonique. Credits: Alon Livné. Natasha + Dianne + Billie. Credits: Alon Livné. Spring + Felicity. Credits: Alon Livné. Tiffany + Florette. Credits: Alon Livné. 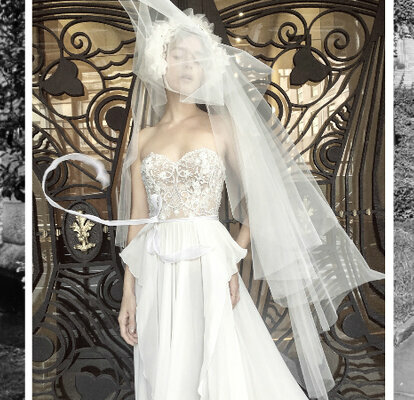 Monique Lhuillier's Bliss Collection For Fall 2019 Will Take Your Breath Away!